The shoulder and hip joints are two of the most mobile and frequently used joints in the body. 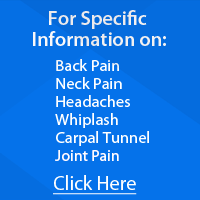 They are also a frequent site of injury and pain for many people we see in our Dickinson chiropractic clinic. From overuse to sports injuries, the causes are many, and the results range from slight discomfort to complete immobilization. The following article from Neck & Back Pain Treatment Center gives information on some of the most common issues that lead to shoulder and leg pain, as well as a description of how chiropractic adjustments can help to reverse it. Using non-invasive and carefully applied adjustments, chiropractors assist the body in gently re-positioning the vertebrae which can provide both instant and long term relief. If you are experiencing arm or leg pain, don't wait for it to become unbearable, schedule a consultation with our team at Neck & Back Pain Treatment Center today.